Every culture has snake stories. Gita Wolf and Ianna Andreadis have taken excerpts from the snake mythology of the Buddhist and Hindu traditions and woven them into a little book that is a sweet combination of poetic writing, haunting tales and, enchanting, minimalist illustrations. The result is a hand-printed treasure of a book that should be read many times in many different moods. The snakes in the book move very quickly from villain to hero. In the very first story, Vitra, a huge, ocean-encircling serpent, becomes so tyrannical that the humans enlist Indra, king of all the gods, to do battle with Vitra and his snake minions. The snakes eventually lose, but the humans are so impressed by the ensuing confrontation that they appoint the snakes as guardians of the four directions. The stories start with snakes, but they are really about so much more. Each reading of the flowing, poetry-like language gives a new image and something unique to play with or ponder. Folklore can explain both nature and religion, and this book has a taste of each. The gods, who were not always immortal, gain their eternal status when a snake—doing battle with two humans—churns up the essence of immortality from the depths of the ocean. The book says it best, “The telling of a story always unearths the residue of earlier stories. Every action carries the traces and consequences of earlier actions.” Those two sentences could be the cover lines for any collection of literature or drama. They would certainly serve well as the guiding aphorism for writers at any career phase. 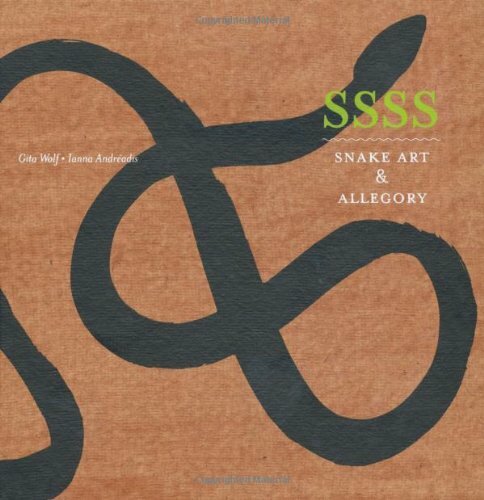 SSSS—Snake Art & Allegory, on rich-feeling paper that is a pleasure to hold and touch, divides its serpents into Cosmic Snakes, snakes of The Underworld, Epic Snakes, Partly Human snakes, and The Buddha’s Snakes. The latter are used as symbols “of a principle which preaches a need for love and tolerance.” What can one say to that, other than amen and SSSS . . .
Reviewer and writer Martin A. David touched the deep ocean of Indian legends and culture as part of his study of Indian dance forms.